Andy Joseph Roy is an enrolled member of the White Earth Band of Indians. He and Larissa Pauline Fineday have two children and live on the White Earth reservation. Fineday receives public assistance from the state. The county commenced an action to enforce Roy's child-support obligation as a means of obtaining reimbursement for the public-assistance benefits. Roy moved to dismiss the action for lack of subject-matter jurisdiction, but the district court denied the motion. We conclude that the district court had subject-matter jurisdiction over the county's action and, therefore, affirm. On appeal from a summary judgment in this condominium-conveyance dispute, appellant-buyers argue that (1) the district court abused its discretion by not continuing the summary-judgment proceedings; (2) factual questions existed regarding whether the purchase agreement was a valid contract; (3) respondent-seller failed to make adequate and timely disclosure under Minn. Stat. � 515B.4-101 to 108; (4) respondent should not have been allowed to use the statutory cancellation process under Minn. Stat. � 559.21, and, in any event, the statutory cancellation was ineffective; (5) appellants should have been allowed to amend their complaint; and (6) respondents were not entitled to attorney fees, and the amount awarded was excessive. Respondent-seller seeks review of the district court's reduction of the attorney-fee award to respondent by the amount of profit realized on resale of the unit originally designated for appellants. We affirm the summary judgment for respondent, reverse the reduction of the attorney-fee award and remand with instructions to enter judgment for the full amount of fees found reasonable by the district court, and grant in part respondent's motion to strike. Wade Muhlhauser appeals from a marriage dissolution judgment and decree, arguing that the district court abused its discretion by denying his motion for a continuance and ordering him to pay conduct-based attorney fees. He challenges several of the court's factual findings and its award of joint physical custody of the parties' minor child. He also argues that he is entitled to a new trial because the district court's decisions were motivated by bias. We hold that the district court did not abuse its discretion by denying the motion to continue because the record supports the district court's conclusion that Wade Muhlhauser did not diligently prepare for trial. The record also belies Wade Muhlhauser's assertion that the district court failed to follow the Rules of Civil Procedure when ordering him to pay Mary Muhlhauser's attorney fees. Our review of the district court's factual findings and legal conclusions shows no grounds for reversal or a new trial, and the record does not demonstrate that the district court based its decisions on bias. We affirm. This appeal arises from a dispute between a former dairy farm consultant, Gary Newman, and dairy farmer clients, Gary and Julie Newberg, regarding the payment for consultation services that Newman provided to the Newbergs from 1995 to 2000. The Newbergs paid Newman in 1996, but then they routinely told him that they lacked funds to pay, to which Newman responded, "Don't worry about it." But in 2004, Newman sent a letter to the Newbergs asking for payment for his services from 1995 to 2000. The Newbergs did not pay, and Newman sued for breach of contract. 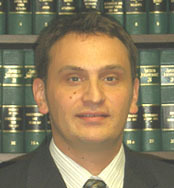 Before trial, the district court dismissed most of Newman's claims based on the statute of limitations, and during trial the court dismissed the remaining claims on substantive grounds. We affirm. On appeal from the district court's resolution of this boundary dispute, appellant argues that (a) the record does not support a number of the findings of fact regarding adverse possession and an easement by estoppel; and (b) the district court misapplied the law regarding the creation of an easement. We affirm. Relator Jeffrey O'Brien challenges an unemployment law judge's decision that O'Brien lacked good cause to reject an offer of suitable employment and was therefore ineligible for unemployment benefits for eight weeks. He also challenges the judge's denial of his request for a new evidentiary hearing. Because rejecting an offer of suitable employment to wait for a better opportunity does not constitute good cause, and because O'Brien failed to demonstrate that an additional evidentiary hearing was necessary, we affirm. James J. Akre, et al. The district court granted judgment as a matter of law modifying the percentages of fault allocated by a jury on James and Sheri Akre's coverage claim against their automobile insurer for injuries that the jury found were caused by both James Akre and an unidentified driver. The insurer appeals the modification, and, by notice of review, the Akres challenge the district court's denial of an adverse-inference instruction on evidence spoliation. Because sufficient evidence supports the jury's apportionment of fault, we reverse the judgment-as-a-matter-of-law modification. But the district court did not abuse its discretion by refusing the adverse-inference instruction or denying the Akres' motion for a new trial on that ground, and we accordingly affirm each of those decisions. Appellant challenges an order enforcing a dissolution judgment. He argues that because the order assigned him a debt that he had no notice was at issue and modified his substantial rights, it was an abuse of discretion. We agree and reverse. Appellant also argues that the district court improperly adopted verbatim an order drafted by respondent. Because we reverse on other grounds, we do not reach this issue. Appellant challenges the district court's judgment, arguing that the district court abused its discretion in (1) finding that respondent needed permanent spousal maintenance, (2) awarding respondent a disproportionate share of the marital property, and (3) awarding respondent need-based attorney fees. 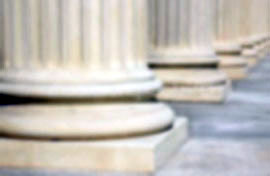 Because the district court did not abuse its discretion in finding that respondent needed permanent spousal maintenance and awarding a disproportionate share of the marital property to respondent, and because a review of the order "reasonably implies" that the district court considered the relevant statutory factors in awarding need-based attorney fees, we affirm. Appellant challenges the district court's decision dismissing its unlawful detainer action after a bench trial. Appellant argues that the district court clearly erred when it found that appellant had failed to prove by a preponderance of the evidence that respondent materially violated the terms of her lease. Because the district court's findings are not manifestly contrary to the weight of the evidence, we affirm. Woodland Container Corporation owed 8,339.04 to Pa D'or Manufacturing, Inc., when Woodland became insolvent and discontinued operations. As an alternative means of recovering the money owed by Woodland, Pa D'or sued a number of individuals and entities affiliated with Woodland, including its former CEO, Richard Jordan, and a corporation formed by his daughter, Margo Jordan, called Packaging Solutions, Inc. A Roseau County jury found Richard Jordan liable for fraudulent misrepresentation and fraudulent transfer and found Packaging Solutions liable for conversion, each in the amount of 8,339.04. Richard Jordan and Packaging Solutions appeal, arguing that the evidence is insufficient to sustain the verdicts. We conclude that the evidence is sufficient to allow a recovery on the fraudulent transfer claim against Richard Jordan in the amount of 0,000. We also conclude that the evidence is insufficient to allow a recovery on the fraudulent misrepresentation claim against Richard Jordan and the conversion claim against Packaging Solutions. Therefore, we affirm as modified with respect to the fraudulent transfer claim against Richard Jordan and reverse with respect to the other claims. Appellant challenges the district court's denial of his motion to modify his child-support obligation. Because the findings of the district court support its conclusions of law, there was no abuse of discretion, and we affirm. Appellant Mayo Clinic challenges the district court's denial of its motions for judgment on the pleadings dismissing respondent Sara Anderson's invasion-of-privacy claims and respondent Forum Communications Company's cross-claim for indemnification. Because the plain language of Anderson's written authorization permitted Mayo's conduct; because the evidence is insufficient to support a finding of fraudulent inducement; and because there is accordingly no basis for an indemnity claim, we reverse and remand for entry of judgment in Mayo's favor. Appellant-father Gregory L. Freitag challenges the district court's order granting the motion of respondent-mother Nicholle S. Freitag, n/k/a Nicolle S. Zurn to remove the parties' children from Minnesota. Because the district court properly applied the removal statute, Minn. Stat. � 518.175, subd. 3 (2006), because an evidentiary hearing to address mother's motion was not required, and because the record supports the district court's factual findings, we affirm. B.T.N. and A.V.D. challenge the district court's termination of their parental rights to their second child, D.D., based on a finding that their first child, A.D., suffered egregious harm while in their care, which resulted in his death. We conclude that, in light of intervening caselaw, the matter should be remanded to the district court for additional findings of fact.